主要职责 Main Responsibilities? 监督和指导所有与现金收支相关的事务.To oversee and direct all aspects concerning cash receipt and disbursement.? 负责管理日常现金和支票收支工作，并办理相关银行业务.To be responsible for the control and banking of all daily cash and cheque payments.? 管理所有备用现金，包括其个人资金的刷新.To manage all cash float refurbishment including his/her own fund.? 负责与银行和供应商保持良好的合作关系.To keep contact and have a good relation with both bank and suppliers.? 严格按照酒店政策，从收银员和票据收款员处收回每日的现金和支票收入，并认真核对所收回的金额与系统报告的收入金额是否一致.? To manage all daily cash and cheque collection (from cashiers, bill collectors) in the strict respect of hotel policies and to formally reconcile collected amounts with system reports.? 处理日常外币兑换工作，与官方规定的兑换商进行货币兑换，并认真核对前台和POS （销售点系统）提交的外币兑换报告.? To perform daily foreign currency exchange with the officially appointed money changer and check and reconcile all foreign exchange submission and calculation from Front Office and POS.? 负责将每日的现金和支票收入及时存入银行，并办理相关的银行手续.? To prepare and perform without delay banking of all daily cash and cheques collected.? 认真核对日常收入和银行往来业务情况，并编制总出纳日常报告.? To prepare on daily basis the General Cashier Report where daily collection/banking is formally reconciled.? 维持酒店内部资金的正常运转，及时补充对外支付所需的资金，随机计算备用金，并编制相关报告.? To maintain all in-house funds at operational level by timely reimbursing cashier’s paid-outs and proceed randomly to float count, formalized in report.? 监管酒店的日常外汇汇率，并根据酒店政策及时更新汇率.? To monitor the daily hotel foreign exchanges rates and update all rates as per hotel policy.? 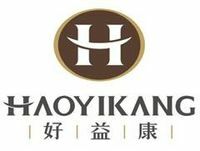 使用零用备用金支付小额现金支出，按照酒店相关政策及时补充小额现金需求.? To balance petty cash disbursements against petty cash float and ensure the timely reimbursement so that all petty cash needs are catered for, in the strict respect of hotel policies.? 保证其职责范围内的现金和支票的安全.? To ensure the safeguard of all cheques and cash received in his/her custody.? 知识及经验 Knowledge and Experience大学毕业或相当于(财务专业).University diploma to degree, or equivalent (finance). ? 电脑操作.Computer skills (Word, Excel). ? 铂尔曼:一个全新的服务理念,以亲近,亲切和分享体验为宗旨.? Pullman: a new service attitude centered on proximity, sociability and sharing experience. ? 通过发挥个人的好学精神确保所有员工都具有同样的铂尔曼精神.Ensure all staff embodies the same mindset by developing each individual's sense of curiosity. ? 思路开阔,个性开朗和积极向上.? Open-mindedness, interpersonal skills and sense of initiative. ? 主动和耐心.? Spontaneous and empathic. ? 具有相当的成熟度.A high level of personal maturity is vital for this position. ? 良好的记忆力.? Good visual memory. ? 沟通能力强.? Confident speaking skills.